residential clusters, a buffer zone, a central green spine, an equestrian club and a mixed-use development. The second phase comprises of the luxurious Hotel Indigo, a suave country club, a rehabilitation centre, a school, and the cutting-edge Innovation Hub. 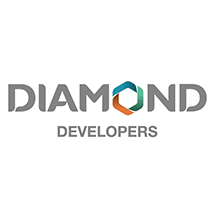 Dedicated to setting and attaining new standards for sustainable development, Diamond Developers has aligned its business model with responsible global citizenship, making their best efforts to understand global issues, to act with sensitivity about them, and to advance themselves and our world for the better. Through the Diamond Innovation Hub, the company will offer first-rate professional training, promote research and development, host conferences and events, support sustainability start-ups, and provide advisory services to a wide range of stakeholders. 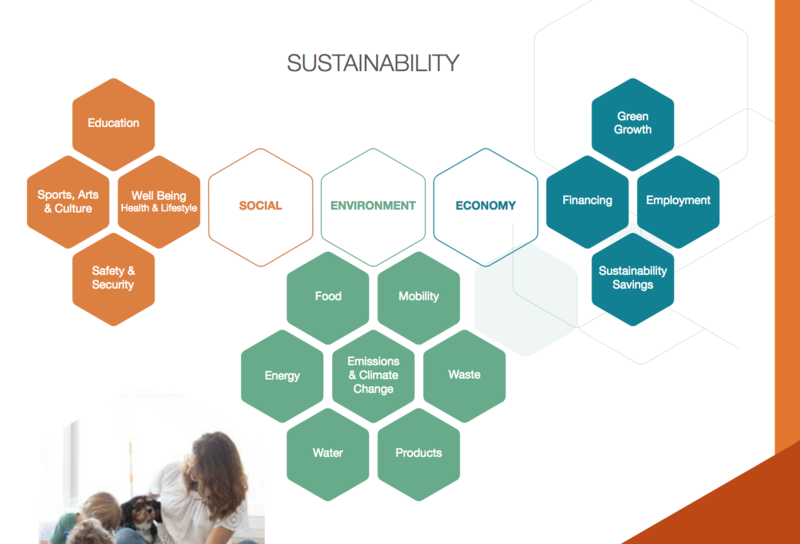 Our Innovation Center aims to advance knowledge and practices related to social, economic, and environmental sustainalbility in the built environment. the region. This means that over an anticipated 50-year lifespan, the building itself will produce 140 percent of its energy requirement, thus offsetting emissions during construction, operation, and decommissioning. professionals alike, looking to broaden their knowledge in this rapidly evolving industry. partnership with the University of California, Davis and its network of partner universities in Lebanon, Egypt, and Palestine. The Diamond Innovation Centre will house a “smart unit” which will monitor the city’s environmental performance and CO2 footprint, and support the publication of an annual Greenhouse Inventory. We have ongoing collaborations with leading universities in the region and in the US, as well as with prominent environmental organizations and centers of excellence. We are working with Emirates Wildlife Society-WWF on climate related research and greenhouse reporting. We are working with Dubai Carbon Center of Excellence to verifiy our greenhouse gas emissions calculations. 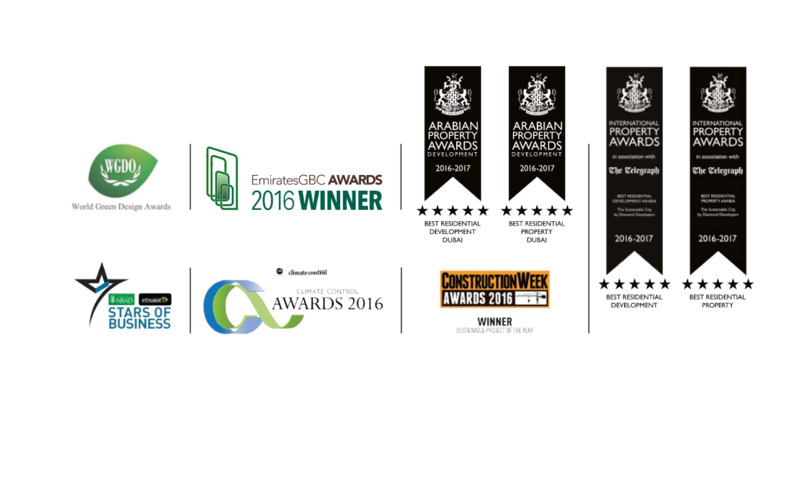 We are working with Emirates Green Building Council on the environmental footprint of building materials. We consult with DEWA on issues related to solar electric power production including billing systems and procedures. We consult with RTA on issues related to mobility, sustainable transport, green buses, and electric vehicle licensing. We consult with Dubai Municipality on issues related to waste management and green waste recycling. A modern application of social, enviroment and economy in the built environment. 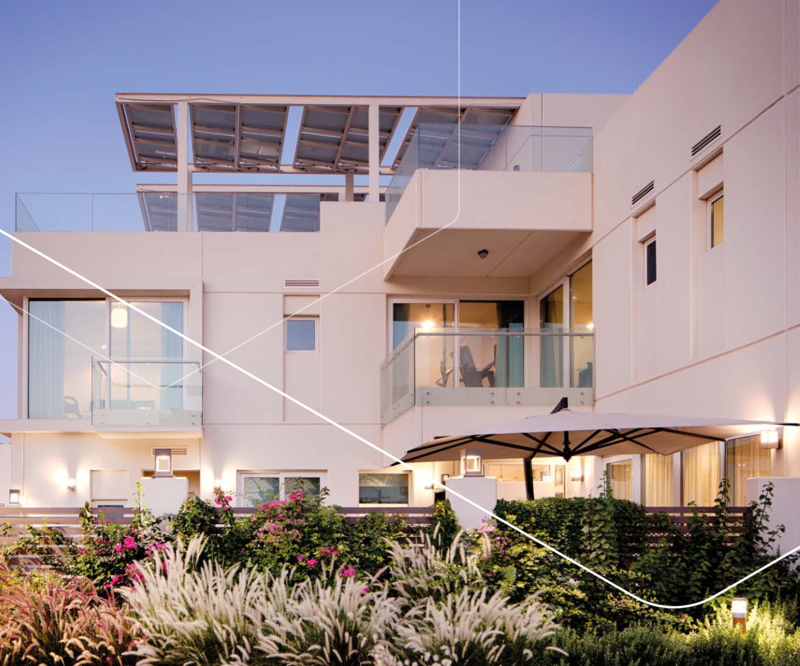 This first operational Net Zero Energy City in Dubai is a game-changer for today’s progressive society and will be a pillar for creating tomorrow’s sustainable world. 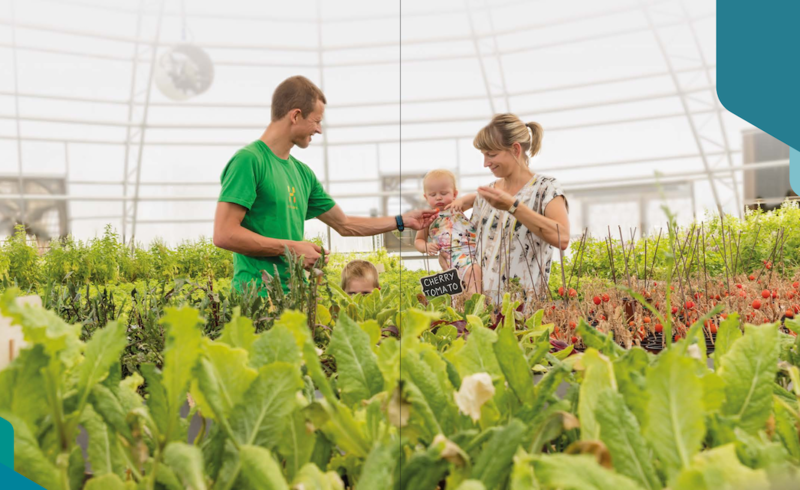 urban farm that runs the length of the City. The L-shaped villas combine ergonomic superiority with contemporary design with the uppermost environmental performance standards. The roof terraces, shaded by unobtrusive solar panels, provide ample outdoor space during winter.